CSU’s annual Scholarship Luncheon brought together more than 400 individuals who have made personal gifts, as well as representatives of businesses and organizations that have supported scholarships, and the grateful students who received these awards. For many, it was a first-time meeting. “Marge Shorrock welcomed me as if I was one of her own family members,” said student Mary Elizabeth Nazimiec. “Mrs. Shorrock was engaged and wanted to know my future plans. I was able to tell her how appreciative I am,” added student Jacob Taylor. “I treasure the opportunity to meet my students and hear of their passion for their studies and potential career goals,” said Shorrock, MBA ’88, who funds the William I. Shorrock Endowed Scholarship and the Marjorie B. Shorrock Endowed Graduate Fellowship in History. Luncheon guest speakers were donor Matt Hlavin and student Andrew Wimmer. Hlavin, a member of the CSU Foundation Board of Directors, graduated from CSU in 1988 with a bachelor’s degree in communication. The president and CEO of Thogus established an endowed scholarship for engineering students. 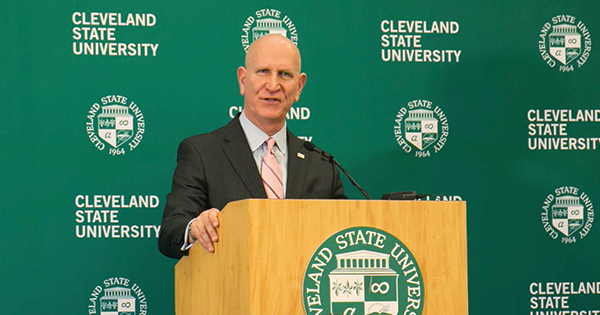 “Investment in CSU will help students graduate and build careers that will keep Northeast Ohio viable,” he said. Wimmer will graduate from CSU this May with a degree in mechanical engineering and plans to pursue doctoral research in materials science. He holds the Matt Hlavin scholarship. “My educational journey has surpassed my wildest dreams, thanks to donors like Mr. Hlavin who generously support CSU and its students,” he said. 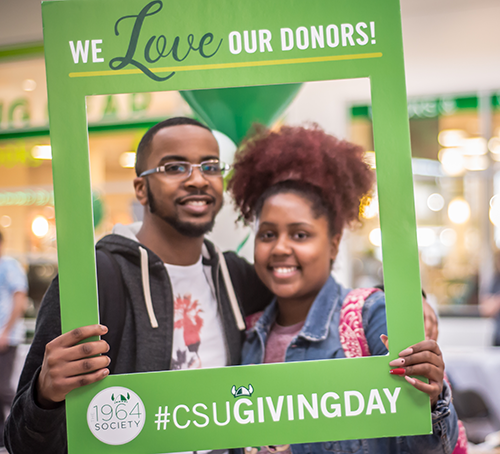 Thanks to everyone who helped make CSU’s fifth-annual Giving Day the biggest and best ever! More than 2,500 gifts were received, totaling more than $269,000 in a 24-hour period — shattering records and far surpassing goals of 1,500 donors and $150,000. Donors represented all 50 states as well as Aruba, Belgium, Canada, Denmark, the Netherlands and Sweden. Giving Day supports student success and has evolved into a friendly competition across academic Colleges, athletics and other units. 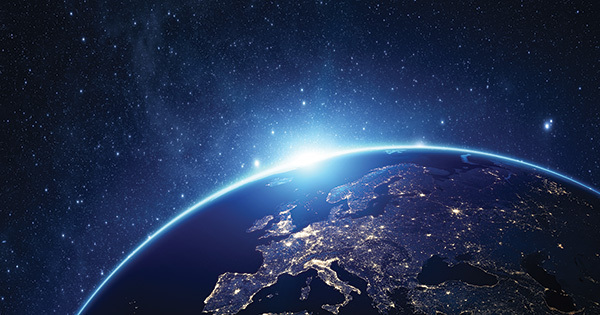 Conducted largely online, the 24-hour fundraising campaign used a crowdfunding platform combined with email marketing and a robust social media presence. Donors who pledged “challenge gifts” helped maximize the impact of group efforts ­— particularly among the University’s athletic teams, where men’s lacrosse and the swimming and diving teams each raised over $40,000 for scholarships and student-athlete support. 2,000 postcards that were mailed immediately after Giving Day. “We are incredibly grateful for the generous outpouring of support from our alumni, students, faculty, staff and friends,” said Berinthia R. LeVine, vice president, University Advancement and executive director, CSU Foundation. “Thanks to them, we surpassed our goal by early afternoon and continued to set and surpass new goals throughout the day. “Donors enthusiastically embraced the opportunity to support their favorite College or program and our students are the beneficiaries,” she added. In the five-year history of Giving Day, support for the University has increased by at least 50 percent each year, with this year’s performance more than doubling last year’s. At press time, CSU’s Radiance scholarship event on May 8 was on target to surpass its $1.5 million goal. The President’s Medal, CSU’s most prestigious non-academic recognition, was to be awarded to Beth Mooney, chairman and chief executive officer of KeyCorp, and Radiance co-founders Thomas W. Adler, senior advisor to Playhouse Square Real Estate Services, and Timothy J. Cosgrove, BA ’83 and JD ’87, partner with Squire, Patton Boggs LLP. Watch for complete Radiance coverage in the fall issue of Cleveland State magazine.